A new report from the North Carolina Sustainable Energy Association finds that a ground source heat pump (GSHP) system is 45% more efficient than any conventional heating or cooling system. It also finds that that the number of people who install a GSHP system greatly depends on the amount of the federal and state incentives available . A ground source heat pump takes advantage of the fact that the earth around our buildings remains at a relatively constant temperature year round, usually between 45 and 70 degrees Fahrenheit, depending on where in the United States we are talking about. Pumping water through coils buried underground results in relatively warm water that can be used to heat our homes or commercial buildings in winter or cool them in summer. 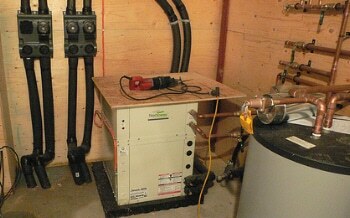 A ground source heat pump can cost 2 – 3 times what a conventional heating and cooling system costs. That means a home or business owner may have to wait a number of years before the savings the system makes possible begin to offset the cost of installation. With incentives, those upfront costs are reduced, which allows the energy savings to be realized much sooner in the life of the equipment. GSHPs suffer the same disadvantage in the marketplace as other energy efficient technologies such as rooftop solar, green or cool roofs, high efficiency windows or energy saving lighting. All have significant up front costs. Even though we all want to reduce our carbon footprint, sometimes the budget just does not allow for such upgrades. If society in general believes there is social good derived from a reduced carbon footprint — less carbon dioxide in the atmosphere, healthier living for all citizens, lower incidence of sickness or disease — political leaders may feel justified in providing government incentives to encourage people to switch to geothermal heating or put other energy upgrades in place. Another alternative to direct incentives for energy efficiency improvements is an alternative financing program like HERO or PACE, which allow a property owner to finance upfront costs by allowing them to be added to the local tax bill. The taxing authority remits the required payment to the lender who finances the improvements while retaining a small percentage for handling and processing the billing and collection process. One big advantage of a HERO or PACE program is it makes it possible for a parcel of real estate to be sold without first requiring that the loan for energy improvements be paid in full first. A combination of tax credits and creative financing programs will be required to make a significant impact on our overall carbon footprint as a nation. The North Carolina Renewable Energy Credit is set to expire soon. Uncertainty about whether it will be renewed has led to a slowdown in the number of GSHP systems being installed. That’s bad news for the state’s economy. 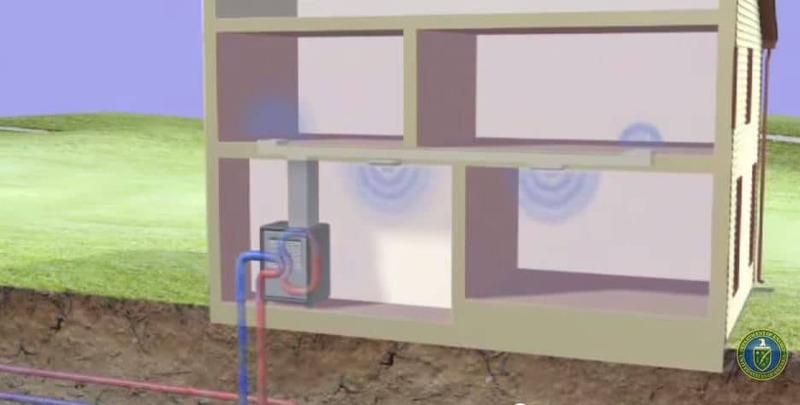 The NC SEA report finds geothermal heat pump installations added an estimated $143 million in revenues last year.